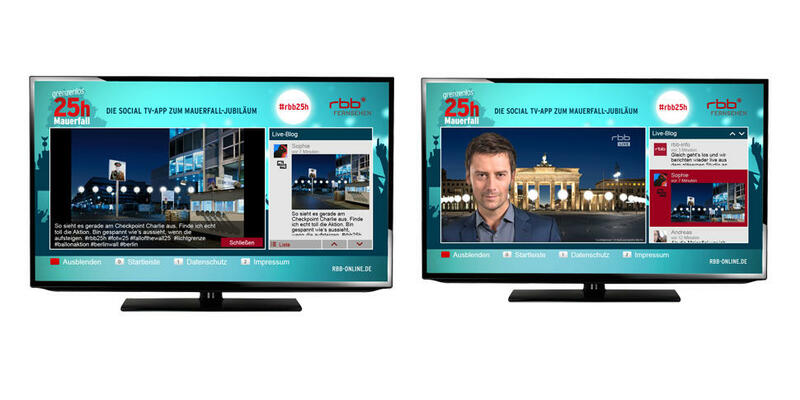 The Social TV App was developed by the rbb innovation projects in cooperation with the Institut für Rundfunk Technik (IRT) and the Fraunhofer-Institute for Open Communication Systems FOKUS. 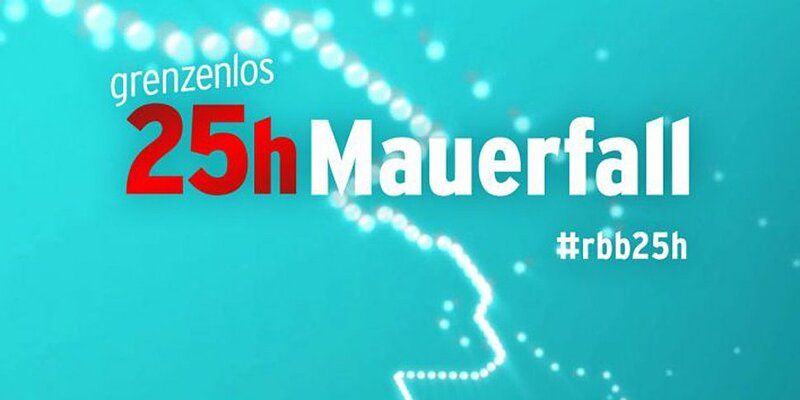 The Social TV-APP was developed for the anniversary of the fall of the Wall: From the 7th November 2014 there was a live blog with the focus on the media event “Without Borders – 25h Fall of the Wall” (Grenzenlos – 25h Mauerfall) which wasn't only accessible via the rbb information portal but could also be aired directly on the TV. With the application for Smart TVs, viewers were able to not only watch TV but to follow the live blog by looking at individual entries or pictures. The application can be started by pressing the red bottom on the remote control. The only condition for this application to work is an HbbTV-capable TV. The application was realised with the “HbbTV-Toolkit”: rbb editors are now able to compose additional information for different television programmes. These additional contents will be then offered to the viewer via the internet connection of the television set.